All schools receiving categorical funds are required to form a School Site Council (SSC). The SSC is composed of parents and school personnel and is responsible for developing, implementing and evaluating the Single Plan for Student Achievement programs. Members serve two years and are elected by their peers. For additional information about Dry Creek's SSC, please contact Cecelia Dansby by email or phone (327-6500), or check out the CUSD Special Projects Department website. Apart from the traditional school site council and parent club, a body called the School Assessment and Review Team (SART) exists to provide a forum to learn about a school and to influence the leadership regarding the operation of the school. Each Clovis Unified school has a SART committee, which serves as a vehicle of communication and as an advisory body to the principal. Dry Creek SART meetings are held quarterly and are open to everyone in the Dry Creek community. In addition to quarterly meetings, our SART committee processes an annual parent survey. SART members also conduct clean campus inspections seven times each year. Meeting dates and times are announced in the Panther Express and are posted on our home page. Intercultural Diversity Advisory Council (IDAC): draws members from parents to represent our school at district level climate assessment/problem-solving meetings. The primary purpose of the Intercultural Diversity Advisory Council (IDAC), originally formed in 1988 as the Intercultural Advisory Council, is to assist in the formation and review of policies that assure non-discriminatory practices in all operational areas of the Clovis Unified School District. Its further mission is to assist in improving the cultural environment of the District. In 1988, Dr. Burton and associates conducted a study of the status of Clovis Unified School District with respect to racial/cultural discrimination and human relations. The report of findings from that study enumerated six specific recommendations for improving the multicultural climate of the district. The report also called for the establishment of a District Advisory Committee composed of community members and district employees representing the diversity of the district. Accordingly, the Intercultural and Diversity Advisory Council (IDAC) was formed for the purpose of assisting the district in the implementation of the six recommendations from the "Burton Report" and monitoring the progress of the district toward achieving the desired outcomes of those recommendations. Reporting to the Governing Board annually is among IDAC's charges. A CUSD District Steering Committee which is comprised of a variety of stakeholders form across the district meets monthly to review recommendations, goals and current practices as they relate to cultural competencies. The Steering Committee works with Human Resources to monitor hiring practices, training opportunities, best practices at the school sites and set priorities. The Dry Creek IDAC meets quarterly in the Library Media Center. 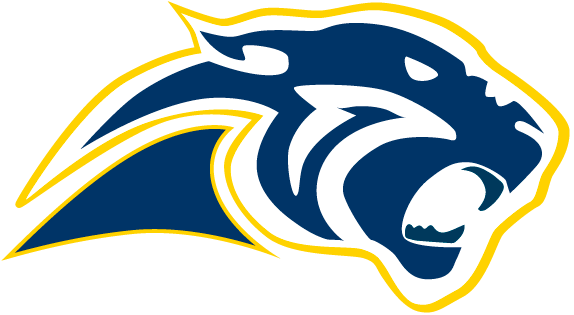 Meeting dates are announced in the Panther Express and on the Dry Creek home page. The Dry Creek Parent Association meets the second Tuesday of each month during the school year. Meetings start at 7:00 p.m. and are held in the school's Library Media Center. Membership information is included in student registration packets and is also available in the school office.